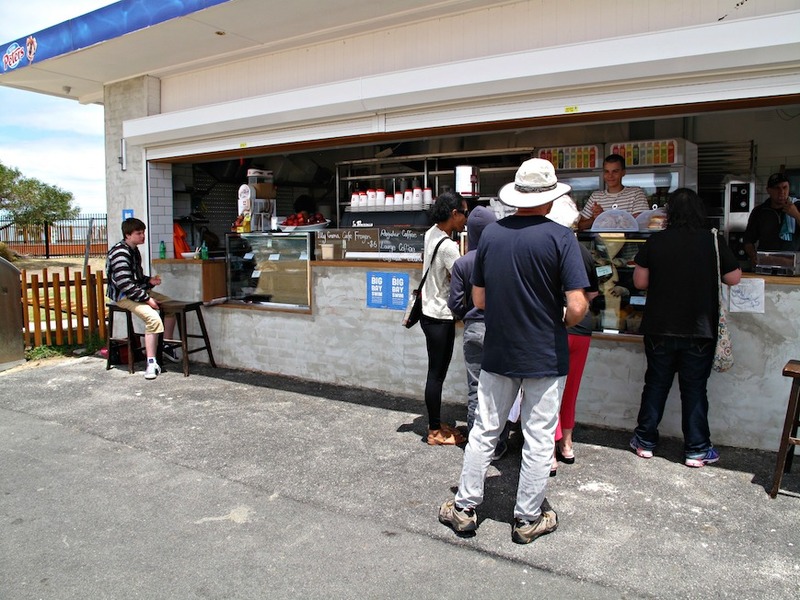 Getting all excited about the impending opening of Kiosk by d’Asporto at Williamstown Beach – including doing a story for The Age and then doing a blog story about doing a story for The Age – is all good and well. But it’s not in the realms of proof-is-in-the-eating. So lunch it is for us. We choose a beaut day for it – sunny but not hot, precious little wind and not too many people around. There’s two tables adjacent the kiosk but we grab two of the stools right up close. 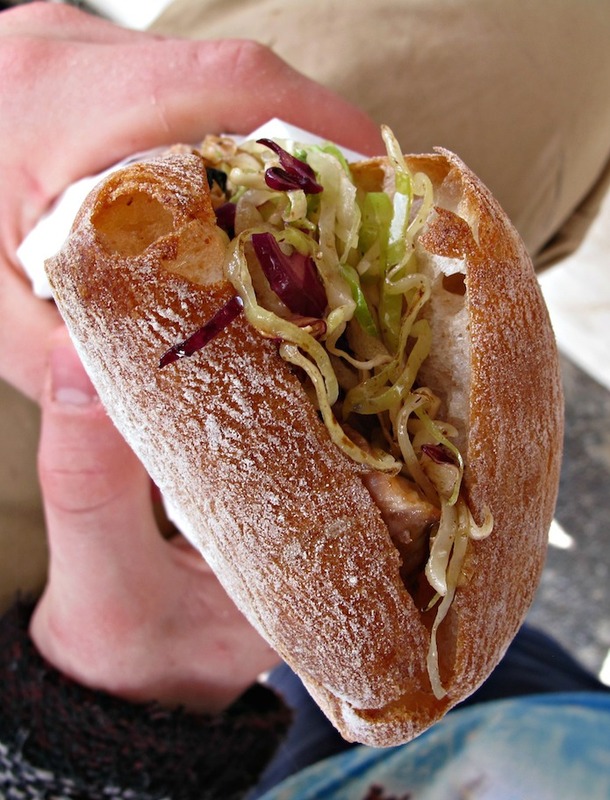 Bennie has one the gorgeous-looking panini on display – pulled pork with Italian coleslaw ($10). The bread is fresh, the pork has great flavour and the slaw has nuts and dried fruit. I’m not sure how Italian the fish and chips ($10) are but I love them anyway. It’s easy to do so as they’re hot and crisp and delicious. The chunk of flake is of modest proportions but is all meaty perfection. Also freshly fried are the arancini – the larger ones of potato and cheese ($3 each), the smaller of a sort of rice-y bolognese with cheese ($1.80 or four or $6). They are totally yummy taste balls. 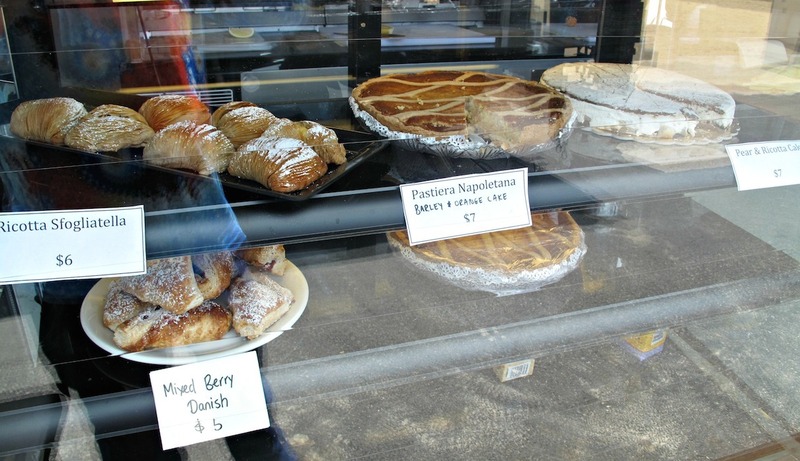 The fine display of sweet, baked goodies – and the coffee and the gelati – will have to wait for another day. It’s only one meal – but Kiosk by d’Asporto really does feel like a game-changer for westside beachside eating. Was here for lunch yesterday. Just awful. 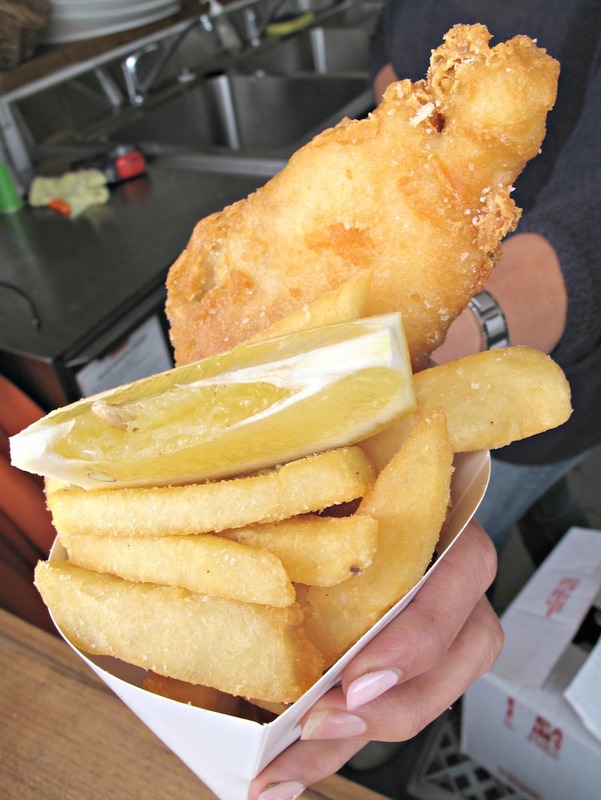 I had the fish and chips in a cone (With no lemon slice). Horribly over-salted and very oily. Inedible. 90% got thrown in the trash. My friend had the fritatta sandwich, which was a wet soggy mess. He chucked most of that out too. We’d never ever go back. It carries the same name as Pizza D’Asporto on Kororoit Creek Rd, where we are regulars, but the two places have nothing in common. The Kiosk will surely tarnish the reputation of the original if they keep putting out ‘food’ like this. Hi Rodney! I am sorry to hear that. I have been back twice since posting the above story – once for a trio of salads, once for pastry and coffee. Departed happy both times. Called in Tuesday for a light lunch, the 2 salads we ordered were unavailable. Seems to me if you want coffee they have it covered.